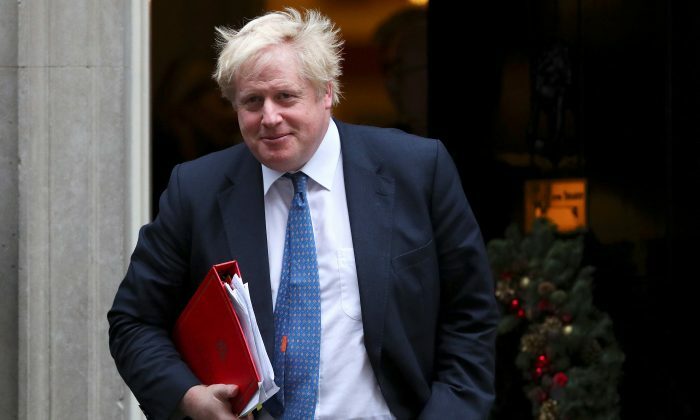 LONDON–Repressive states are to blame for breeding terrorism, Britain’s foreign minister Boris Johnson will say on Thursday, Dec. 7, in a speech defending Western foreign policy and denouncing Islamic extremism. Britain suffered four deadly attacks in London and Manchester between March and June this year that killed 36 people, and on Wednesday, Dec. 6, a man appeared in court accused of plotting to kill British Prime Minister Theresa May. Speaking to diplomats and experts at the Foreign Office in London, Johnson will call for better engagement with Muslim populations worldwide and argue that blaming Western intervention for the rise of Islamist extremism plays into the jihadi narrative, according to a briefing note issued by the Foreign Office. “To assert, as people often do, that the terrorism we see on the streets of Britain and America is some kind of punishment for adventurism and folly in the Middle East is to ignore that these so-called punishments are visited on peoples – Swedes, Belgians, Finns or the Japanese hostages murdered by Daesh – with no such history in the region,” he will say according to advanced extracts of his speech.